Firefox kann keine Verbindung zu dem Server unter www.facebook.com aufbauen. c:\Windows\update.tray-8-0\svchost.exe (Trojan.Agent) -> 1016 -> Unloaded process successfully. c:\Windows\sysdriver32.exe (Trojan.Agent) -> 3860 -> Unloaded process successfully. c:\Windows\update.1\svchost.exe (Trojan.Agent) -> 4376 -> Unloaded process successfully. c:\windows\update.2\svchost.exe (Backdoor.Agent) -> 3896 -> Unloaded process successfully. c:\windows\update.2\svchost.exe (Backdoor.Agent) -> 5032 -> Unloaded process successfully. HKEY_LOCAL_MACHINE\SYSTEM\CurrentControlSet\Services\srvsysdriver32 (Trojan.Agent) -> Quarantined and deleted successfully. HKEY_LOCAL_MACHINE\SYSTEM\CurrentControlSet\Services\wxpdrivers (Trojan.Agent) -> Quarantined and deleted successfully. HKEY_LOCAL_MACHINE\SYSTEM\CurrentControlSet\Services\srviecheck (Backdoor.Agent) -> Quarantined and deleted successfully. HKEY_LOCAL_MACHINE\SOFTWARE\sysdriver32.exe (Trojan.Agent) -> Quarantined and deleted successfully. HKEY_LOCAL_MACHINE\SOFTWARE\systeminfog (Trojan.Agent) -> Quarantined and deleted successfully. HKEY_LOCAL_MACHINE\SOFTWARE\SERVICES32.EXE (Trojan.Agent) -> Quarantined and deleted successfully. HKEY_LOCAL_MACHINE\SYSTEM\CurrentControlSet\Control\SafeBoot\Minimal\wxpdrivers (Trojan.Agent) -> Quarantined and deleted successfully. HKEY_LOCAL_MACHINE\SYSTEM\CurrentControlSet\Control\SafeBoot\Network\wxpdrivers (Trojan.Agent) -> Quarantined and deleted successfully. HKEY_LOCAL_MACHINE\SYSTEM\CurrentControlSet\Services\srvbtcclient (Trojan.Downloader) -> Quarantined and deleted successfully. HKEY_LOCAL_MACHINE\SOFTWARE\Microsoft\Windows\CurrentVersion\Run\tray_ico0 (Trojan.Agent) -> Value: tray_ico0 -> Quarantined and deleted successfully. HKEY_LOCAL_MACHINE\SOFTWARE\Microsoft\Windows\CurrentVersion\Run\sysdriver32.exe (Trojan.Agent) -> Value: sysdriver32.exe -> Quarantined and deleted successfully. HKEY_CURRENT_USER\SOFTWARE\Microsoft\Windows NT\CurrentVersion\Winlogon\Shell (Backdoor.Agent) -> Value: Shell -> Quarantined and deleted successfully. HKEY_LOCAL_MACHINE\SOFTWARE\Microsoft\Windows\CurrentVersion\Run\wxpdrv (Backdoor.Agent) -> Value: wxpdrv -> Quarantined and deleted successfully. HKEY_LOCAL_MACHINE\SOFTWARE\Microsoft\Windows\CurrentVersion\Run\9082716.exe (Trojan.Downloader.Gen) -> Value: 9082716.exe -> Quarantined and deleted successfully. HKEY_LOCAL_MACHINE\SOFTWARE\Microsoft\Windows\CurrentVersion\Run\sysdriver32_.exe (Trojan.Agent) -> Value: sysdriver32_.exe -> Quarantined and deleted successfully. HKEY_LOCAL_MACHINE\SOFTWARE\Microsoft\Windows\CurrentVersion\Run\4499552.exe (Trojan.Downloader.Gen) -> Value: 4499552.exe -> Quarantined and deleted successfully. HKEY_LOCAL_MACHINE\SOFTWARE\Microsoft\Windows\CurrentVersion\Run\2183722.exe (Trojan.Downloader.Gen) -> Value: 2183722.exe -> Quarantined and deleted successfully. HKEY_LOCAL_MACHINE\SOFTWARE\Microsoft\Windows\CurrentVersion\Run\4964677.exe (Trojan.Downloader.Gen) -> Value: 4964677.exe -> Quarantined and deleted successfully. HKEY_LOCAL_MACHINE\SOFTWARE\Services32.exe\close (Trojan.Agent) -> Value: close -> Quarantined and deleted successfully. HKEY_LOCAL_MACHINE\SYSTEM\CurrentControlSet\Services\wxpDrivers\ImagePath (Trojan.Agent) -> Value: ImagePath -> Quarantined and deleted successfully. HKEY_LOCAL_MACHINE\SYSTEM\CurrentControlSet\Control\SAFEBOOT\AlternateShell (Hijack.Altshell) -> Bad: (services32.exe) Good: (cmd.exe) -> Quarantined and deleted successfully. c:\Windows\update.tray-8-0\svchost.exe (Trojan.Agent) -> Quarantined and deleted successfully. c:\Windows\sysdriver32.exe (Trojan.Agent) -> Quarantined and deleted successfully. c:\Windows\update.1\svchost.exe (Trojan.Agent) -> Quarantined and deleted successfully. c:\Windows\Temp\5999203.exe (Trojan.Agent) -> Quarantined and deleted successfully. c:\windows\update.2\svchost.exe (Backdoor.Agent) -> Quarantined and deleted successfully. ich besitze momentan nur keine geklaute software...ich versteh nicht wie des geht und ist mir eh zu heikel. wie lange dauert eine neuinstallation? Die Neuinstallation selbst also nur Windows vllt ne halbe Stunde. Je nachdem wie geübt man und wie schnell der Rechner ist. Aber danach müssen alle Update für Windows eingespielt und alle benötigten Programme nachinstalliert werden. Ist aber irrelevant. Bei Cracks gibt es nur noch Hilfe zur Neuinstallation. Dass die Dinger illegal und gefährlich sind wurde ja in aller Deutlichkeit erwähnt. haha,das wird ein spaß...^^ zum glück habe ich noch ferien. Wenn das System wieder völlig neu und demnach auch wieder sauber ist, wird FB auf jeden Fall funktionieren. Wenn du sicherer surfen willst, kannst du dir ja mal Ubuntu anschauen und auf Wunsch parallel zu Windows installieren. Oder komplett umsteigen von Windows zu Linux. Fake-Mail 1&1 Telecom, Exploit.JS.pdfka.ggb, Rechner infiziert trotz Abwehr durch Kaspersky? 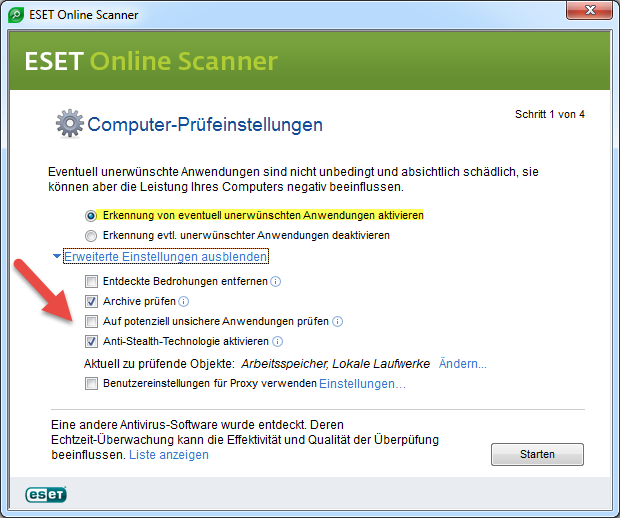 Windows 7 Professional 32 Bit durch Virus in Fake-Email beschädigt.